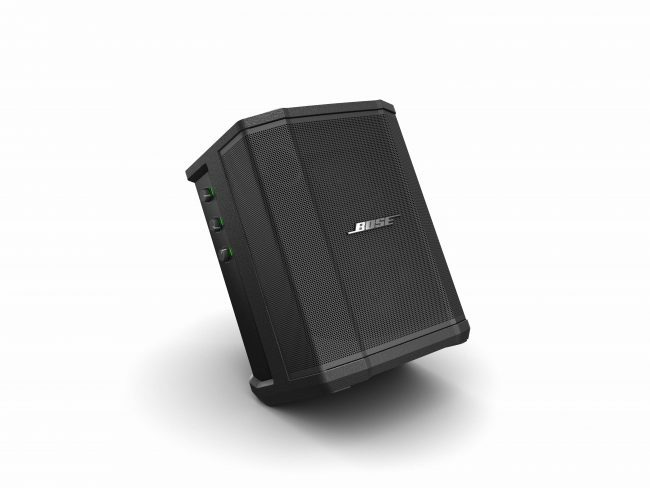 Bose, known for high end music systems has launched today Bose S1 Pro Multi-Position PA System in India. It can be used in four different positions to accommodate a wide range of applications – tilt-back, elevated, mounted on a speaker stand, or placed on its side (as a floor monitor). Its built-in sensors detect positional changes and trigger Auto EQ, which automatically recalibrates the system’s internal settings for each different placement/application for delivering optimum sound in any position. The S1 Pro comes with a three-channel mixer. Reverb and tone controls are featured on two channels with XLR / quarter-inch combo jacks, and a third channel is for either 3.5 mm (1/8”) line-in or wireless Bluetooth connectivity. Additionally, a line-out jack offers easy expansion to other systems. This system can be connected with Bluetooth for playing music from mobile devices for getting great sound with integrated ToneMatch processing for microphones and instruments. This system is portable and has dimensions of 13″ x 9.5″ x 11.2″ (330 x 241 x 286 mm). The ultra-portable and rugged S1 Pro is lightweight having weight of 6.8 KG and is designed for effortless transport using the convenient carry-handle. According to the company, its optional rechargeable lithium-ion battery enables you to enjoy music for longer hours and its special setting and intelligent circuitry offer a choice between trickle charge or dedicated full-power charge. The S1 Pro multi-position PA system is priced at Rs. 60624 and is currently available in India through the authorized distributor Luxury Personified LLP.